At the Natural Resources Foundation of Wisconsin, we have some great stories to tell. Stories that inspire and move individuals to help protect the lands, waters and wildlife we all cherish. We are committed to sharing those stories, the impact of our work and our financial circumstances, through our annual reports and 990’s so that you feel confident that your tax-deductible donation to the Foundation will make a difference. Full audited financial statements are also available upon request. A year-end look at your support in action, each annual report showcases our work to manage state-owned lands, protect wildlife, and promote conservation, and includes grant and financial information. For the best viewing and reading experience, click on the Full Screen icon in the bottom right-hand corner of the box above. This will enlarge the document to a legible size and allow you to click through the pages like you would a book. Looking back at 2016, memories sparkle like fireflies—special people, places, and events! 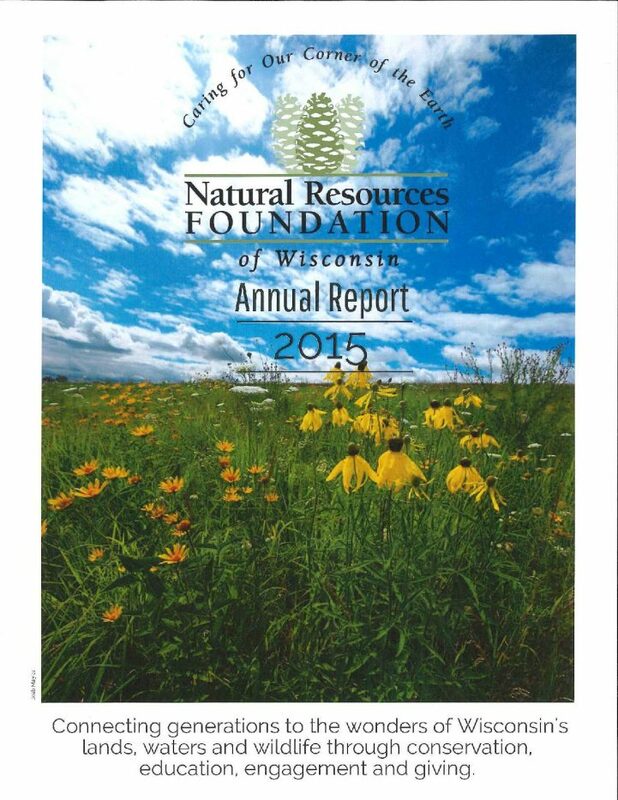 We reached a huge milestone, celebrating the 30th anniversary of the Natural Resources Foundation of Wisconsin. Over these 30 years our membership has grown, we’ve expanded our impact through new programming and fundraising, and developed into a broader, more mature foundation. A challenging and exciting year for the Natural Resources Foundation, some might say 2015 was the beginning of a new era for the Foundation. Faced with the loss of a large government capacity grant, the Foundation embarked on a journey to find new sources of support, sustainability, and hope. As a 501(c)3 organization, we annually file the IRS Form 990 detailing our mission, activities, and financial information. Click on the links below to view or download a 990. For years prior to 2014 please contact us and we are happy to provide it. With staff and board, Ruth helps build an inspiring vision to create a vibrant and durable Foundation which financially supports Wisconsin’s lands, wildlife and waters. 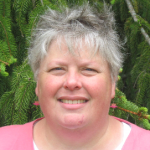 Ruth is responsible for overseeing the administration, programs and impact of the Foundation.